For dancers and bloggers from Galuh Larashati, the Internet is the fastest medium and often helps to solve children's problems. In front of the participation in the event "Indonesia Digital Mum Insight 2018" organized by The Asian Parent Indonesia on Wednesday (09/12/2018), he stressed the importance of the use of the Internet for mothers. "I have found the most suitable pediatrician through social media". To be useful in many cases concerning children and family, it is urgent to act very quickly, until the disease and surgery also meet doctors, also via the Internet, "he said. Like Galuh, blogger Zata Ligouw, who was attending a similar event, said the Internet helped him find information when the baby was sick. In addition to knowing how to quickly treat pain in children, this step is also considered to reduce conflict with parents who often have other points of view on how to care for children. "Sometimes, as a new mother, ask the parents like," Hmm ... later that will be scolded. "Because it's different, it's wise to search for it first on the Internet, then get valid information, and then tell mom: it's the quickest to wait until tomorrow morning to see a doctor. But in the beginning, he was certainly sailing and we believe that we are intelligent, so the reading will not be clear, "he explained. The Asian Parent's survey of 1,066 mothers aged 18-44 in Jabodetabek, Surabaya, Yogyakarta, Medan and Bandung revealed that the Internet has become a way for mothers to find information about children. According to a study published in 2018, 49% of women on average consume more internet after their maternity. Indeed, they need more information about parenting, and the Internet is the fastest and easiest way to find it. In addition, the research above mentions three things that mothers do commonly when surfing the Internet. First, they like to visit parenting sites (90.8%). Then, 82.5% of mothers like to use social media. Finally, they often buy goods via the Internet, also known as online shopping (76.1%). Asian Parent went on to explain through his research that 48% of mothers reported making purchases online at least twice a month, while the remaining 7.5% made purchases several times a week. At the same time, nearly 45% of respondents reported shopping for the needs of children via the Internet. 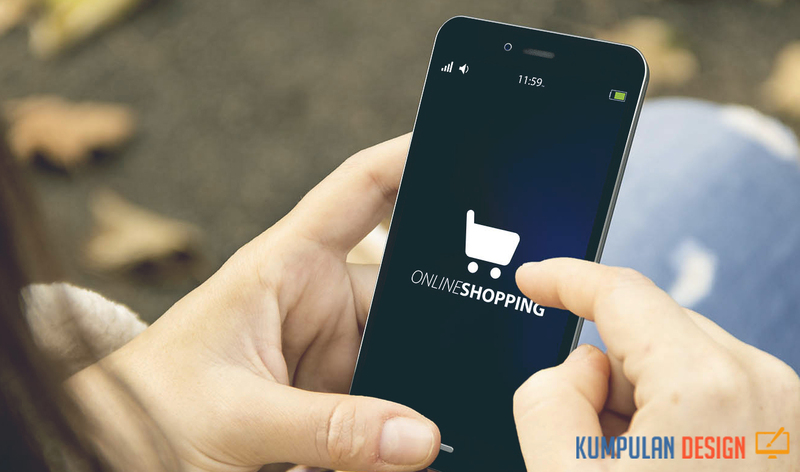 Of the many online shopping platforms, about 87% of mothers report that Shopee is the most popular online sales platform, while Instagram and Tokopedia rank in the second (65%) and third ( 56%). At the same time, 40.81% of mothers use Lazada when shopping online. The free delivery of Shopee is the reason why mothers like to use this platform. Based on Snapchart's research published last March, Shopee and Tokopedia are again among the top three online shopping platforms. Out of 6,123 respondents, 37% used Shopee, followed by Tokopedia (25%) and Lazada (20%). The Snapchart survey revealed that 65% of online shoppers were women and that 50% of the total number of respondents were millennials (aged 25 to 34). For Tirto, Shopee Rezki Yanuar, brand manager in the country, explained that women are not a market that is central to the concerns of e-commerce companies. "Only in the app did many vendors come from Instagram, which sells mostly women's items," he said.